Stain & Finishing Oil All in One Wood Finish is Eco Friendly and easy to use. This stain & top coat combo offers exceptional durability in high traffic areas like table tops, kitchen cabinets and even flooring. 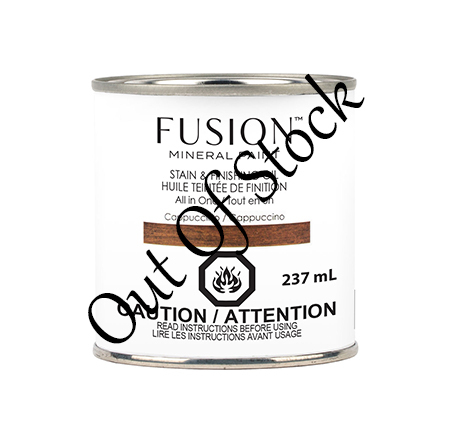 This product can be used on bare wood, or over previously painted surfaces for a faux effect. 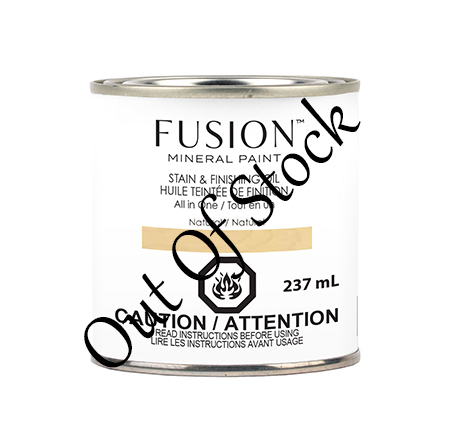 Use the Natural color over Fusion Mineral Paint colors to increase the sheen and offer superior durability. This Stain and Finishing Oil All in One is your go to solution to bare wood to show off the grain, yet change the colour to your desire. Comes in 6 gorgeous colours. Very easy to use, low odour and Eco Friendly! Apply it with a brush, or rag, and wipe away the excess.